I love to do autumn walks in the woods; colorful trees and rustle of the leaves under your shoes. It is not only a pleasure, but also healthy… and a lot of fun for kids. 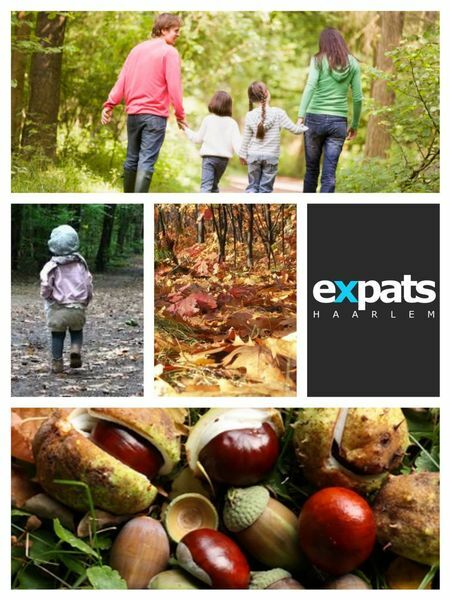 The little treasure hunters can look for & collect jewels of the autumn. We will join the weekly walk organized by Bezoekerscentrum De Kennemerduinen in beautiful National Park Zuid Kennemerland. The walk will be lead by a professional guide and will leave exactly at 10:00, therefore don’t be late. Tired after the walk we will enjoy a chat over hot tea and a piece of cake at Duincafé de Kennemerduinen. This event is free, you only pay your own consumption. Please note that due to uncertain autumn weather, we may change or cancel the event at the very last moment.